One amazing functionality which WordPress provides its users is the capability to create a multilingual site (Right to Left) with the help of some incredible RTL supporting Arabic WordPress themes. WordPress is a highly preferred Content Management System due to its ease of use and customization services that it provides. This platform is used by a million users from around the world. Language such as Arabic translating from Right to Left requires special attention. This can be made easier with the help of these RTL WordPress themes which allow translating your website from Right to Left. Moreover, creating a website in your local language can be the best option to bring the local audience to your website. So, to make it easier for you, we have compiled a list of 30 Best Arabic WordPress themes which you can use to translate your WordPress website in languages such as Arabic, Hebrew, Farsi/Persian, Urdu or any such RTL language. 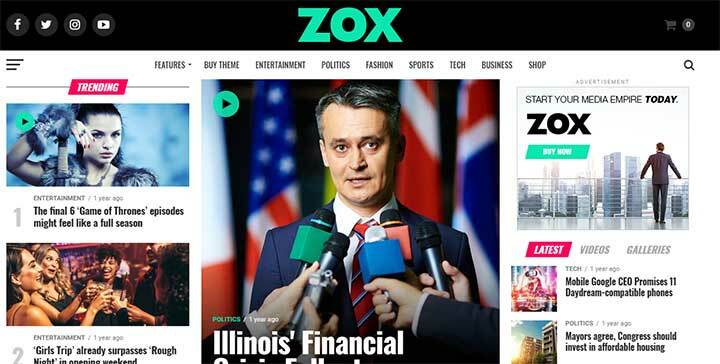 Zox News is a professional WordPress Magazine and News theme which allows you to create fully responsive magazine and news website of your own. This multilingual theme gives you access to 800+ Google Fonts and a built-in RTL feature which allows you to switch the stylesheet to RTL with just one click. Other super amazing features of this theme include Featured Headlines, Unlimited colors, unlimited Ad Units, Video/ Audio Posts, Full-Width Posts, and more. Jannah is an easy to use news Arabic theme for WordPress. This theme comes with freshly responsive designs and some out of the box features to help you create a news website with just one click. Jannah provides incredible Translation support and is RTL ready and can translate your website in any language with the built-in translation panel. It is also fully compatible with the WPML Multilingual Plugin to help you to create outstanding multilingual websites. Jannah includes a built-in drag and drop page builder which can be used to customize your theme design like a pro. Also, this Arabic WordPress theme options panel of this theme includes options such as Styling, Typography, Share Buttons, Sidebars and more. Socially Viral is another beautiful RTL WordPress theme specially built to engage your visitors and boost the traffic of your website. It comes with a feature to enable social sharing thus allowing you to get more traffic as well as boost your SERP’s. Socially Viral supports RTL and allows other languages to be displayed on your website correctly. Other amazing features of this Arabic WordPress theme include Social media icons, trending post option, social integration, Responsive, Unlimited color options and a lot more. One of the top-class multipurpose WordPress themes, Divi is a feature packed theme and best suited for creating almost any type of website with WordPress. This Arabic WordPress theme comes with its own Divi Page Builder that provides a fast and intuitive way to customize your website in the easiest way possible. Divi is a multilingual WordPress theme which supports creating websites in 32 different languages including RTL languages such as Arabic and Hebrew. Also, this theme gives a visually appealing design to your website giving your audience a beautiful experience. Xtra is a creative multipurpose Arabic WordPress theme that comes with a live drag and drop customizer to create almost many types of website. 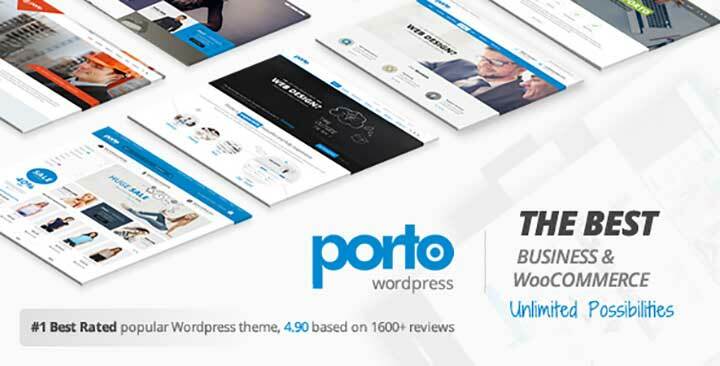 This RTL supporting theme comes with 100+ page builder elements, 200+ premium templates, theme color schemes, Theme Layout and sidebars, Blog settings and styling and so much more. Xtra is compatible with WPML plugin and is ready to translate in Urdu. This theme supports Right to left languages such as Hebrew, Persian, and Arabic. Unicode is also a multipurpose WordPress Theme that comes with 40+ unique concepts which can be easily imported to create a fantastic website of your own. This theme is bundled with WPBakery Page Builder (Visual Composer) page builder, Revolution Slider, LayerSlider headers and iLightbox. It offers a clean and modern design to create any website. This WordPress multi language theme is translation ready and supports RTL translation. Uncode gives you 16+ portfolio layouts, eight menu types, and impressive carousel options to provide you with an appealing website. Zelle Pro is a one page fully-responsive WordPress multilingual theme that gives you highly-flexible user experience. This is one of the most creative themes supporting RTL language such as Arabic. Some outstanding features that make this theme stand apart from other WordPress themes are parallax scrolling, interactive elements and compatibility with drag and drop builders thus giving this theme an elegant yet modern look. 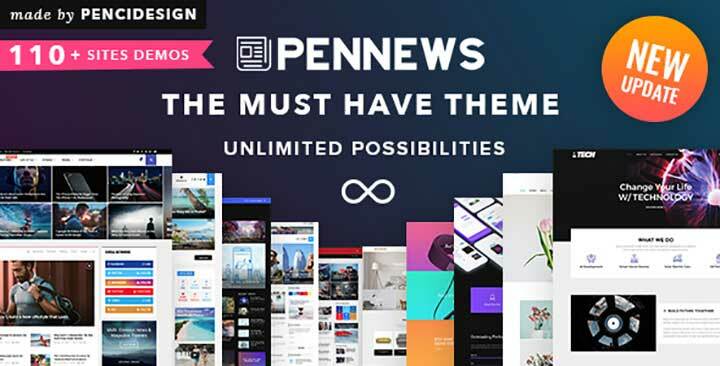 A multipurpose theme, PenNews is a powerful theme for WordPress. The best part about this theme is it allows you to create a site from scratch swiftly and in a short period. PenNews gives you 100+ unique demos for all your business needs such as News and Magazine, Personal Blog, Travel, Fashion, creative agencies and much more. One of the most significant features of this theme is it supports RTL translation. It allows you to translate your site into any language in seconds with dedicated and fast customer support if you face any issue in between. 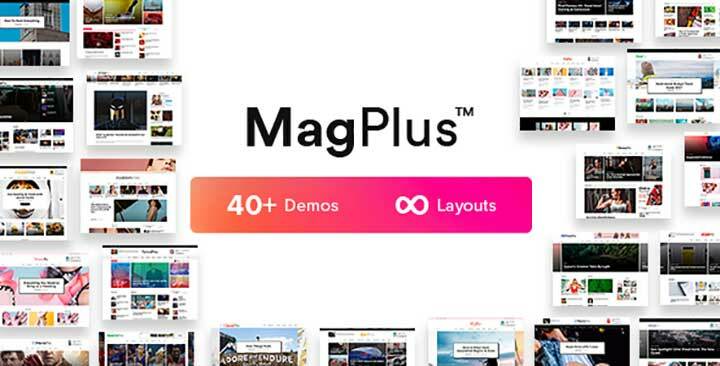 Another blog, magazine, news and reviews theme, MagPlus comes with 40 plus demos to give you the website of your dreams without much hassle. 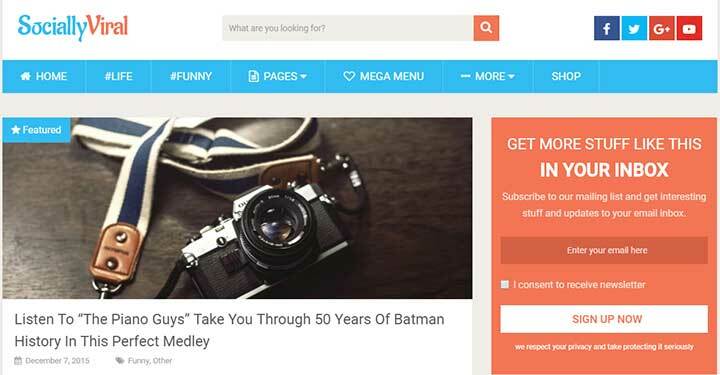 MagPlus is a fast and lightweight theme which gives you features to customize your website in the most beautiful way. This WP Arabic template integrates well with the popular translation plugin WPML that allows you to translate your site in any language. It also provides support for RTL languages such as Arabic, Hebrew, etc. Phlox Pro is another multipurpose Arabic website template that gives you 30 complete elementor demos which can be imported merely and edited on Elementor. This theme comes with the most advanced and powerful theme options to make working on your website fun, simple and intuitive. Phlox Pro allows you to have a multilingual website as well as Right to left website easily with WPML plugin support. Other features of this theme include site layouts, header layouts, page title layout, footer layout and more. Another powerful theme from Theme-Junkie, Featured is a magazine WordPress Arabic theme that allows you to create beautiful and fully-customizable magazine website with WordPress. This theme gives you the power of Elementor page builder to create your layout, customize your pages and make your incredible design. Featured also lets you translate your theme in your local language and supports RTL as well. An elegant magazine theme, Lifestyle is a customizable theme with RTL support. This Arabic WP theme comes with three headers and posts layouts which makes it a perfect theme for multiple uses. Lifestyle features lightweight, fast loading theme with optimal performance. Lifestyle is a translation ready theme and can be easily translated in RTL language. It has a separate translation panel which can be enabled to convert your website into the required language. Kallyas is a top selling and loved multipurpose WordPress Arabic theme. It is lightweight, responsive, drag and drop theme. Kallyas comes with 100+ pre-built elements to suit any type of website. It also supports the powerful Revolution Slider. It also gives you options of unlimited colors, unlimited subheaders, unlimited homepages and a lot more. This theme is also translation and RTL ready. So you can easily translate this theme in any language including the RTL ones. Soledad is a creative blog and magazine theme for WordPress that allows you to create faster websites without zero coding knowledge. This Right-to-Left web design theme comes with 4000+ demos with one click installation so you can easily choose and customize the best one for you. Soledad also gives you unlimited blog and magazine layout combinations to help you design a beautiful website. It is translation ready as well. So you can translate your site in just a few minutes. To top it, this theme also supports RTL languages. Porto is a high-speed multipurpose Hebrew theme suitable for any kind of business. This theme comes with some pretty amazing features and elements to configure your site with all possible customizations. The best feature of this theme is it is optimized well for speed and allows you to create a blazing fast website. This Arabic WordPress theme also supports multi-language translation and is RTL ready. This theme is also compatible with qTranslate X plugin. Bridge is a multipurpose theme for WordPress. 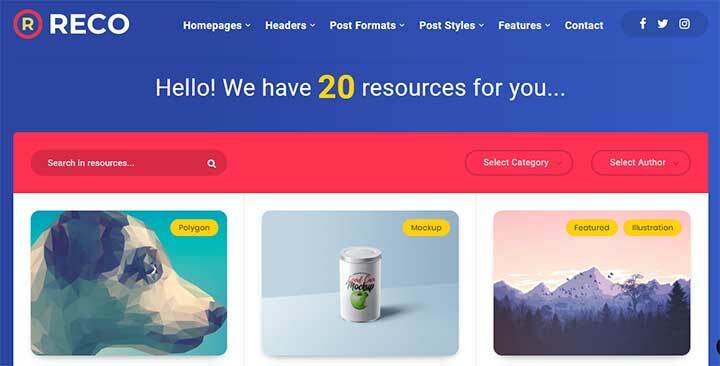 This theme provides you with 376 beautiful and attractive demos which can be easily imported and customizable to create a stunning WordPress website. Bridge also gives you 24 layout concepts to choose from. This theme is RTL ready and support all RTL languages. Other amazing features of this theme are Full Listing Functionality, Easy-To-Use Powerful Admin Interface, Fully Customizable Headers, Fully Customizable Title Area and more. 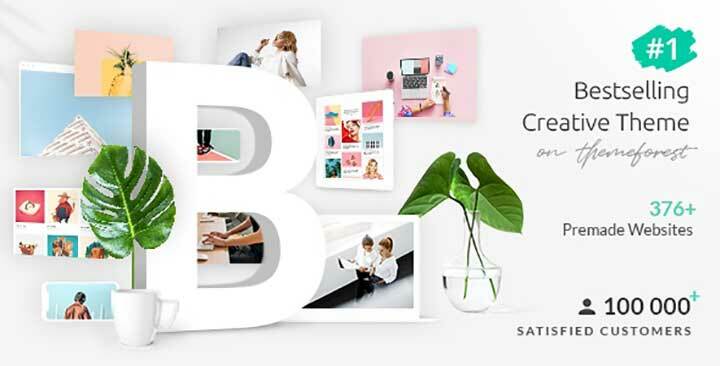 One of the top-selling Magazine Theme for WordPress, Bimber allows you to launch a fantastic viral website with just a few clicks and least effort. This theme provides you with powerful sharing buttons as well as listing options by popular, trending and hot options. Bimber fully supports RTL languages like Hebrew and Arabic thus making it translation ready. 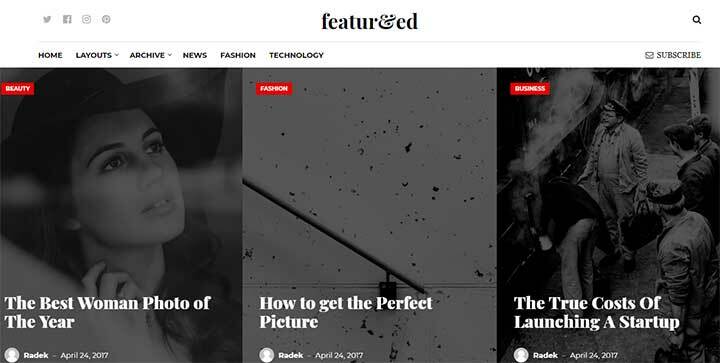 Other features of this theme include 15+predefined demos to help you get started, one-click demo install, drag and drop interface, Front-end submission and a lot more to give you the perfect magazine website. 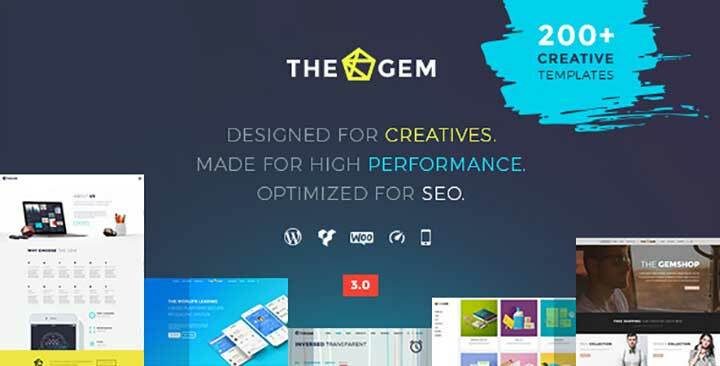 TheGem is a highly sold and highly responsive arabic WordPress theme designed for creating almost all types of websites in a much creative way. This theme comes with 40 unique multi-purpose design concepts, 150 demo pages, and eight navigation settings to give you unlimited customization possibilities while creating a website. The Gem is also translation ready and fully supports the WPML translation plugin to help you convert your site in any language of your choice. It also supports the Right To left functionality. Jupiter is a simple multipurpose theme giving an unparalleled user experience. This theme comes with Elementor page builder that allows you to customize your website in a much creative way. You can also translate this theme in your local language as it supports translating your site in Right To Left Support. 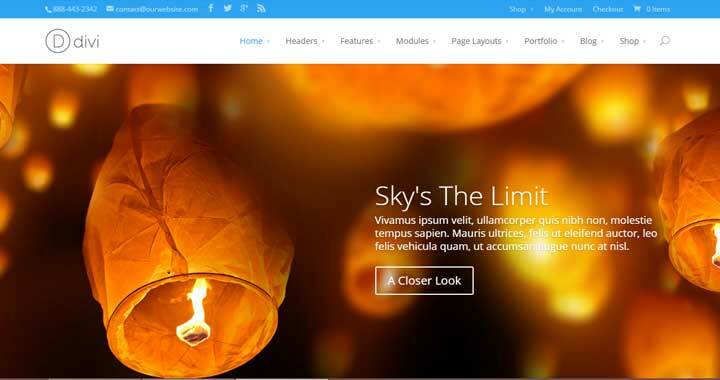 This WP Arab template gives you 150 pre-built website templates. It is SEO Optimized, supports multi-language and provides some great features and functionalities to enhance the user-interface. 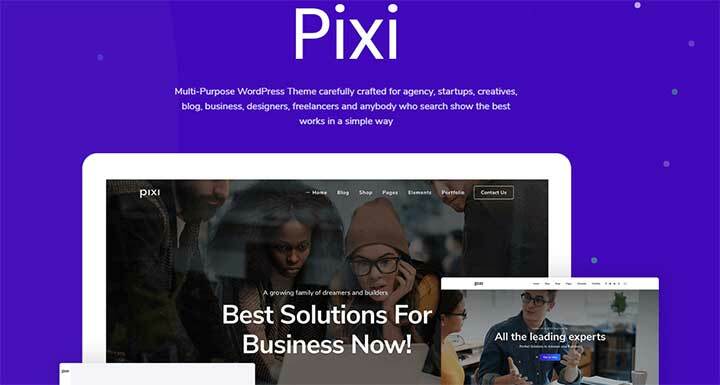 A creative multipurpose theme for WordPress, Pixie allows you to showcase your business or agency or any profession in the most creative way. This theme comes with 16+ homepage layouts and powerful easy to use theme options panel so that you can take full control over each aspect of your theme and customize it as you want. Pixie is a translation ready theme in Arabic that allows you to translate your site quickly with the super awesome WPML plugin. This theme also supports RTL translation where you can easily switch the language of your theme from Right To Left. It is a magazine Hebrew WordPress theme. You can easily create a beautiful magazine blog, reviews site, newspaper, etc. It is a highly flexible and customizable theme which comes with its superfast layout builder. Zeen is also fully-compatible with WPML plugin to help you build powerful multilingual websites. It is also RTL ready and will work automatically with Right To Left Language. Reco is a creative Urdu WordPress theme suited for websites such as magazines, blogs, digital freebies, and others. This theme is lightweight and is easy to use and customize. Reco includes nine custom widgets, three single layouts, and some general features as well. Reco theme is translation ready and supports all Right To Left languages as well. It is a super-light theme with modern design and looks. 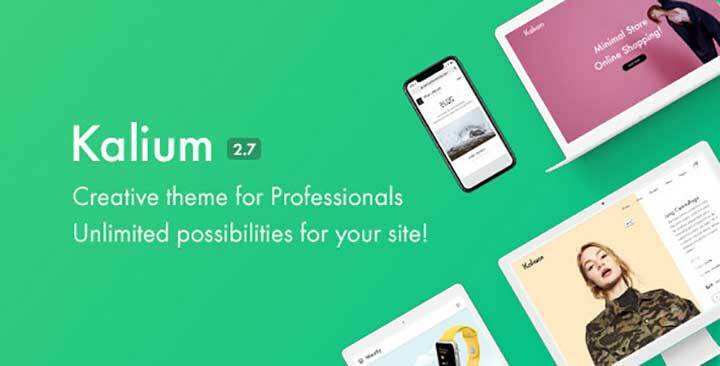 Kalium is a creative Arabic supporting WP theme that allows you to showcase your work in the best way. This theme provides you pre-made full demo concepts to choose from. Kalium is WPML compatible and thoroughly tested by the WPML team. You can translate this theme to any of your local languages as well as RTL languages. Other amazing features of this theme are Multiple portfolio types, lots of hover styles, fribble portfolio, unlimited skins, and stylings. Thus, this theme is well organized and visually stunning and allows you to create ultimate websites. A fully responsive multipurpose template for RTL languages, Enfold is a clean and flexible WordPress theme and can be used for creating business and shopping websites. This theme is built on the famous Avia Framework and also supports the WPML multi-language plugin whenever you need it. Enfold comes with a variety of customizing options such as 20+ predefined skins, 2D + 3D Layerslider Slideshow, Unlimited Color Options, unlimited sidebars, and a unique drag and drop builder. It gives you RTL stylesheet for languages that read from Right To Left such as Hebrew, Arabic, etc. A WP Arabic theme dedicated to the online writers and marketers, Highstake allows you to create stunning WordPress websites. This theme comes with widgets, post styles, layouts as well as parallax effect to make the task of customizing your website much easier for you. This RTL WordPress theme is complete translation ready and provides out of the box support for RTL translation. Moreover, Highstake also gives you feature to allow to you grow your audience, community as well as your email list. Impreza is an impressive multipurpose Arabic WordPress theme which comes with a variety of ready to use unique demos for every purpose. This theme comes bundled amazing plugins such as Visual Composer, Slider revolution and Ultimate Addons for Visual Composer. It also integrates well with the WPML plugin that allows you to create easy multilingual websites. It also supports RTL language with the help of some easy steps. Impreza focusses on usability, typography, and user-experience giving you a clean and modern design. This is an education theme created explicitly for educations web. You can easily build an LMS, Training center, a website for your college, school or academy with the help of this theme. Education WP comes with 14+ Education pre-built demos to quickly create a fully functional website of your own. It also supports the popular Learnpress plugin. With the help of RTL support, you can create a multilingual education site as this theme supports multi-languages with WPML, Polylang, and QTranslate. More than that, the theme also supports Right-To-Left (RTL). 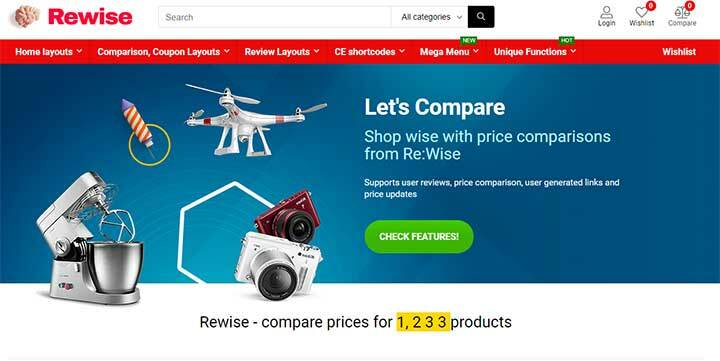 ReHub is an all-in-one multipurpose WordPress theme with unique features such as Affiliate coupon, Directory listing, Social Business, SEO Optimized, multi-vendor and more. This theme also supports RTL and can be translated in any of the RTL languages. Other features of this WordPress Urdu theme include Front-end posting, frontend reviews, five different design layout, and Post Formats. A multipurpose as well as a fully-responsive theme for your business or any freelance or private use, Jevelin, can make even complex projects look creative. One amazing feature of this WP Arabic template is it is mobile ready, and is easily customizable and comes with 40+ custom shortcodes. Jevelin is also translation ready and supports RTL as well so you can translate this theme in an RTL language. This is a modern and flexible WordPress multilingual theme which is suited for a multivendor marketplace, furniture store, electronic store and more. Martfury comes with ten homepage designs to help you create sites such as Amazon, eBay, and Flipkart. This theme supports RTL language and can also be translated into any language. Other features of this theme include compatibility with Dokan, WC Vendors and WC marketplace. It is a professional theme and comes with some powerful options to help you create a fully functional eCommerce website. Any Other Arabic WordPress Theme? Above given was our extensive list of the best RTL Arabic WordPress themes which you can use on your Arabic/Urdu language website. These multi-lingual themes will work well with your local language and will make your site more effective and easy to use. We hope you liked this article. Please let us know your suggestions in the comment section below!